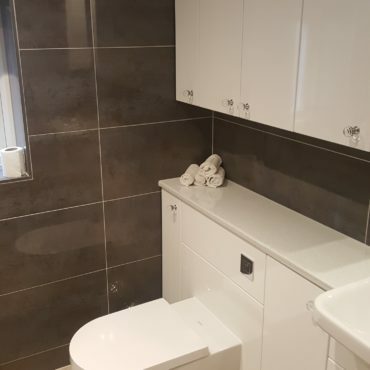 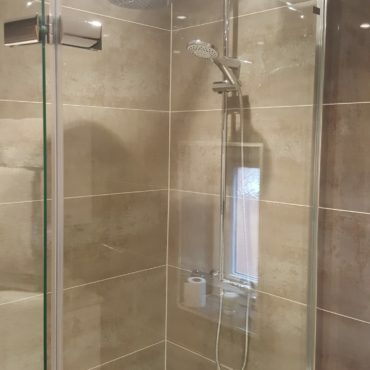 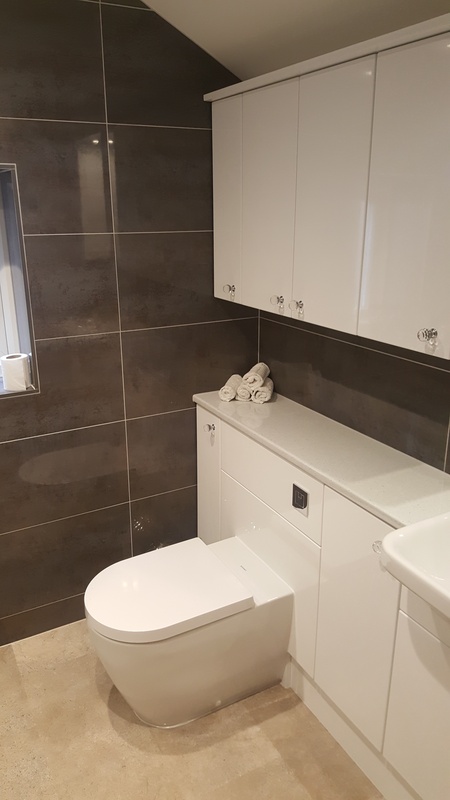 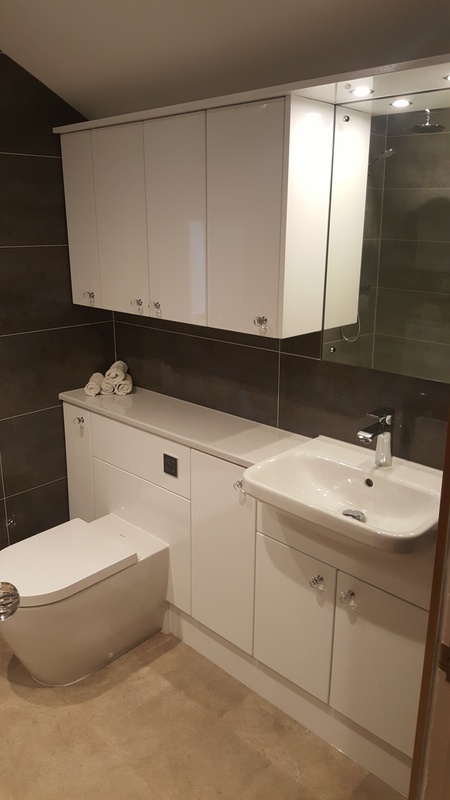 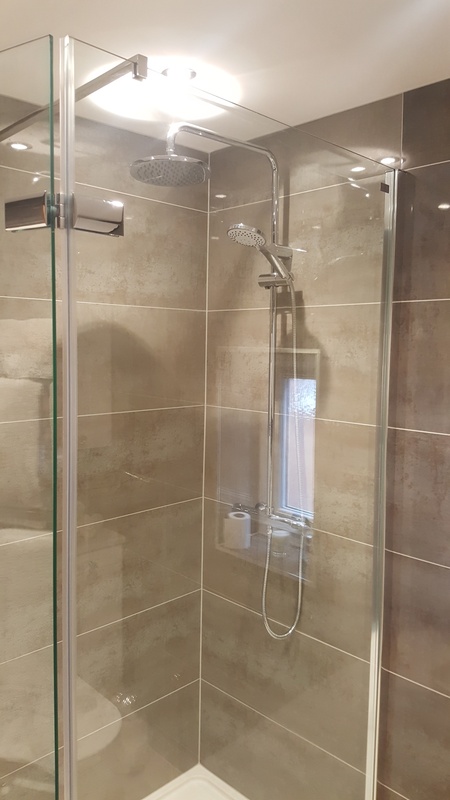 Family shower room in Eaton Bray, this was the first of two bathrooms at the same address we refurbished. 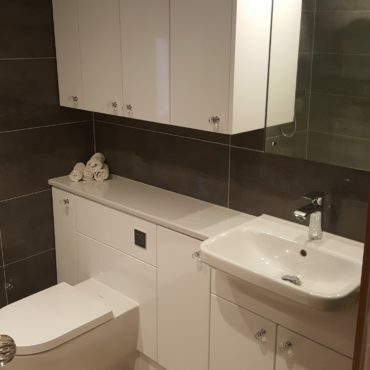 Please view the other bathroom in Portfolio 6. 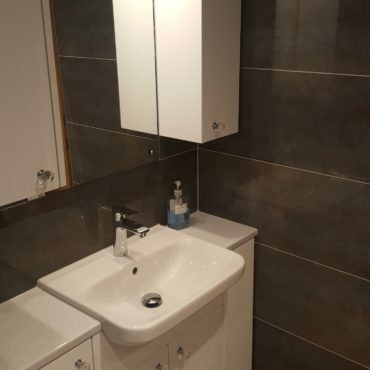 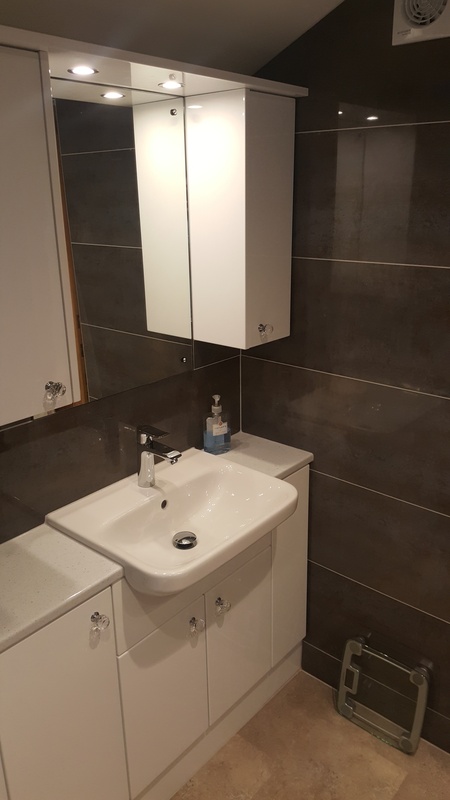 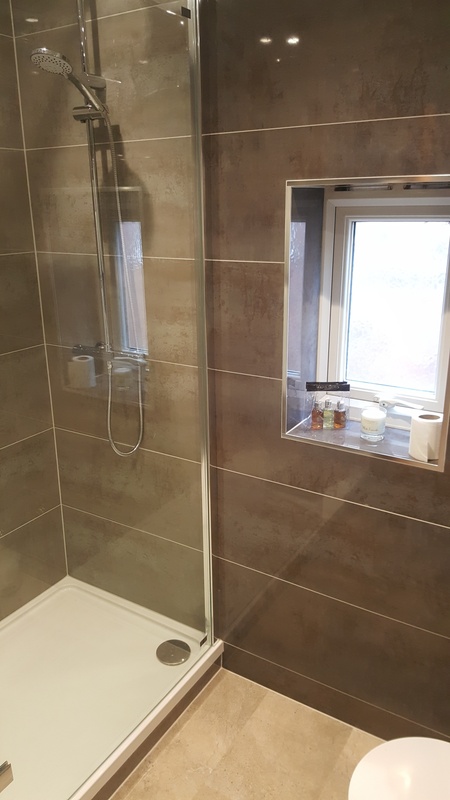 To give both bathrooms an impact we used the same range of tiles but slightly different shades. 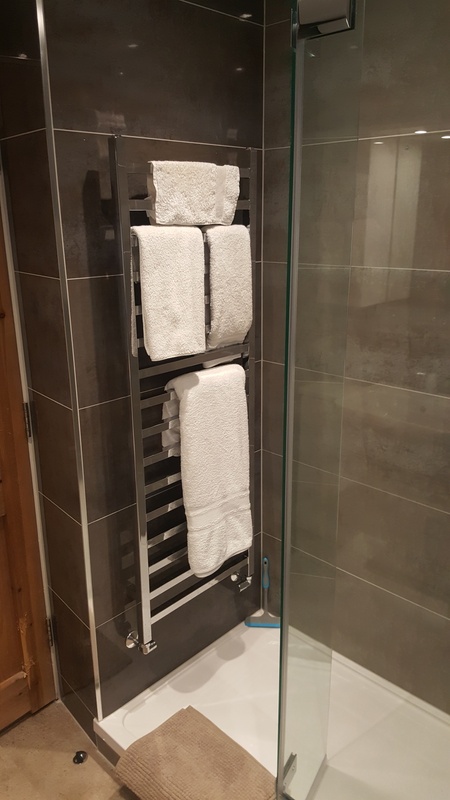 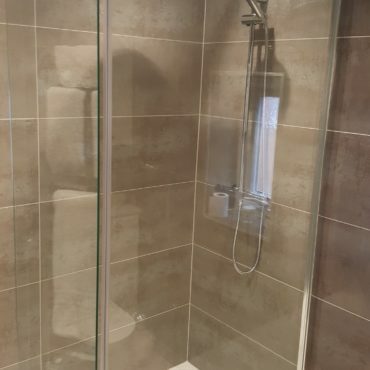 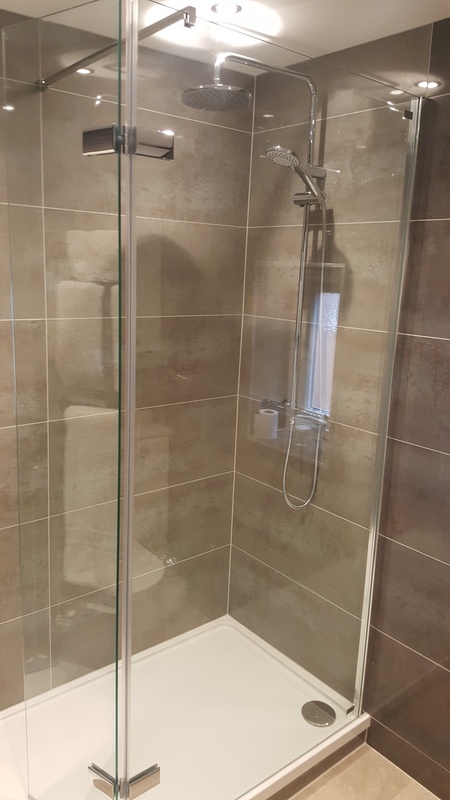 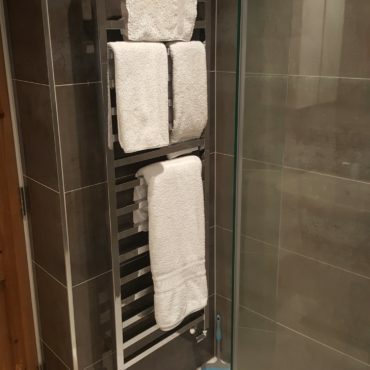 In this case the shower enclosure was tiled in Shine Aluminio to provide a feature wall, whilst the rest of the room is tiled in Shine Dark. 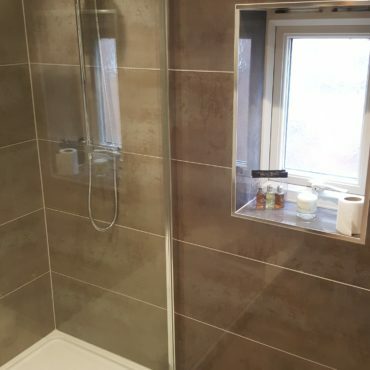 A stunning combo!